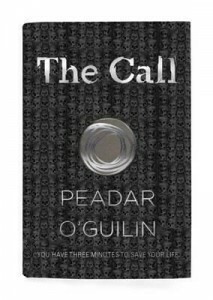 I thought that Peadar Ó Guilín’s first trilogy was one of the more inventive and memorable Science Fiction stories I’ve read, with a world that was simultaneously fascinating and horrifying, so I was looking forward to his new series. Rather than the far-future setting of “The Inferior” and sequels, this is set much closer to home and much closer in time in 21st Century Ireland, however it is an Ireland that has been radically changed. The first chapters explain the premise that the Irish mythology of the first Celtic settlers of Ireland having fought and banished the land’s previous inhabitants, the magical race known as the Sidhe, from the Many-Coloured Land of Ireland to the gloomy world of the Grey Land was based on fact. Thousands of years after their banishment the Sidhe have figured out a way to take their revenge on the descendants of those who stole their lands and have erected an impenetrable magical barrier cutting off Ireland from the rest of the world. More horrifying than the country’s isolation is the fate that awaits every teenager in Ireland, at some point in their adolescence they will face The Call and be pulled into the Grey Land to be hunted by the Sidhe for three minutes in our world and a day in their world. As a result, every teenager is sent to special school to spend their time training to improve their slim chances of surviving The Call. It’s a fairly wild premise, but convincingly portrayed and the book does a good job of considering the implications on the people of Ireland and how society might attempt to adjust. I particularly liked the suggestion that with the nation’s children spending so much time studying their enemy that they’re starting to adopt aspects of the Sidhe’s own culture, such as conversing in their language. The brief forays into the Grey Land show a world that is bizarre but that also feels like it has its own strange logic to it and the Sidhe make compelling antagonists. They may have their own code of honour (they will never break their word) and have a justified grievance in having been banished to a hellish realm but they also have a gleefully sadistic streak in terms of horrors they inflict on the youngsters they catch. The writing style is a bit unusual in the way it jumps between different point of view characters regularly. I think the story may be told from about twenty different points of view during a relatively short book, many of which consist primarily of a character being Called into the Grey Land followed by a short chapter showing their attempts to survive (which often, but not always, ends in a grisly demise). It does make the book feel very fast-paced and compelling to have characters (many of whom the readers is just beginning to like or dislike) suddenly snatched into a life-or-death situation. The characterisation is good throughout, and does a good job of showing the difference between how others perceive a character and how they perceive themselves. The book’s main protagonist Nessa is a compelling character who finds that attempting to live any kind of normal life often feels like a big distraction from her attempts to train herself to survive The Call – made doubly difficult by childhood Polio leaving her with difficulty walking. There’s an equal threat to her outside the Grey Land in the form of school bully Conor who is an antagonist that in his own way feels more despicable than anything the Sidhe can do. I thought the book came to a strong ending that resolved many of the immediate aspect of the plot but left plenty of material unresolved for the sequel. There are a fair number of twists and surprises along the way, and there is genuine tension in wondering whether various characters will survive their Call. Overall, it’s a very entertaining read and not quite like any other book I’ve read, I’m definitely looking forward to reading the sequel.